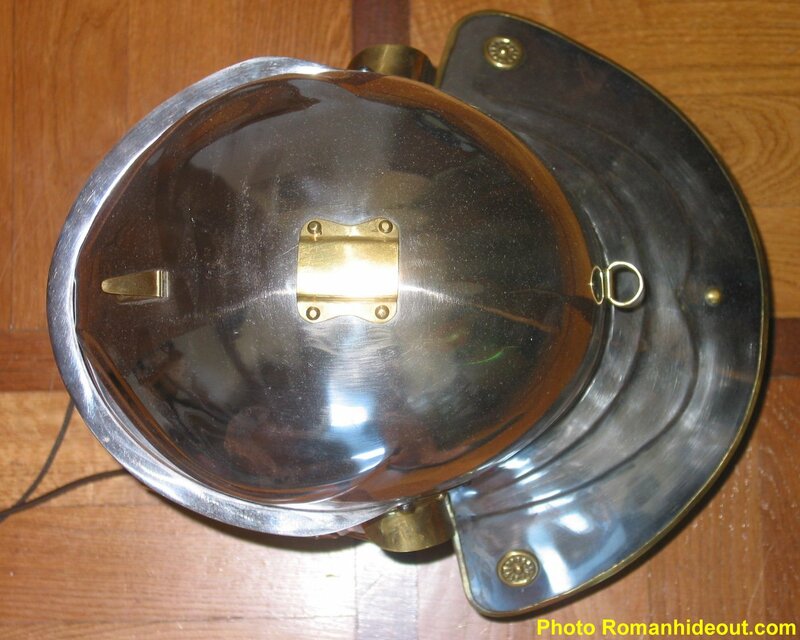 click on each image to enlarge to 1600x1200 This helmet is very similar to the Gallic G, but features a more protective neckguard and a different style of eyebrows. The most complete example of this type is from Lech, near Augsburg, Germany. 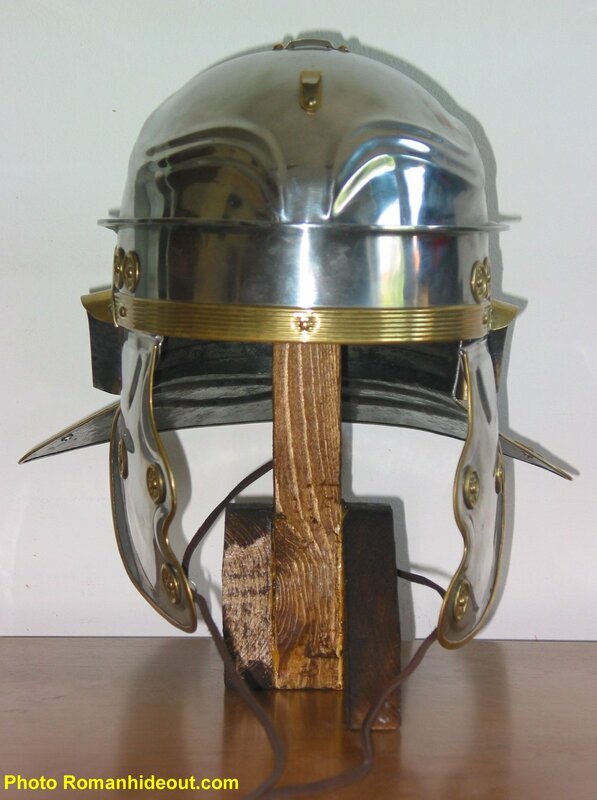 Fragments of the same deep sloping neckguard were also found at Colchester, which dates this helmet and the Gallic "G" to the Boudican revolt of 61a.C., though such neckguards were less common at this date than the quite horizontal examples typical in the first half of the first century a.C. Other datable helmets show more sloping neckguards. This trend continued from the second half to the second and third centuries. 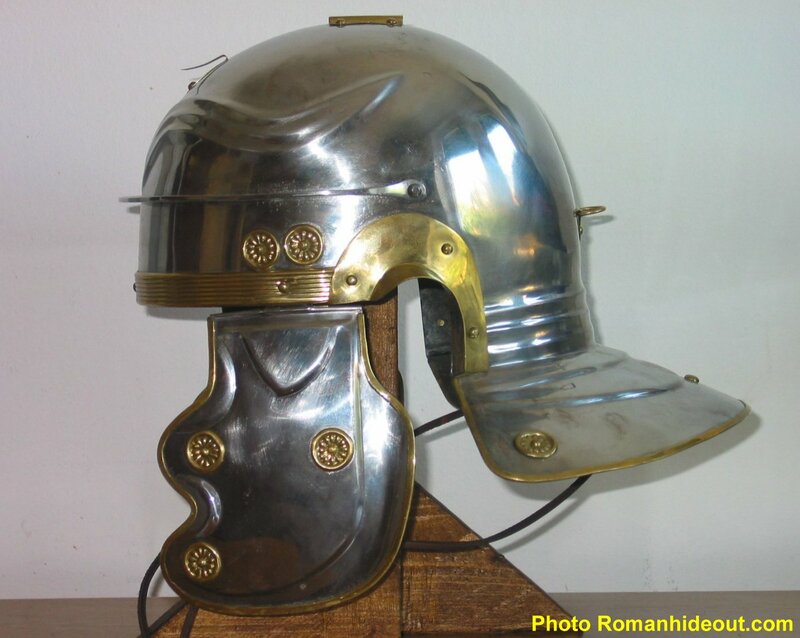 However, as both styles of neckguard were clearly used side by side, it was likely a matter of personal preference and/or armory issue of what type could be worn by a particular Roman soldier.